When our clients see the attention to detail that we put into installing our Window Treatments and Plantation Shutters, it was only natural that they would request for us to hang their art, mirrors, family photos, and various other types of artwork. It became such a common request from our clients that 5 years ago, we decided to incorporate it into our regular service offerings. 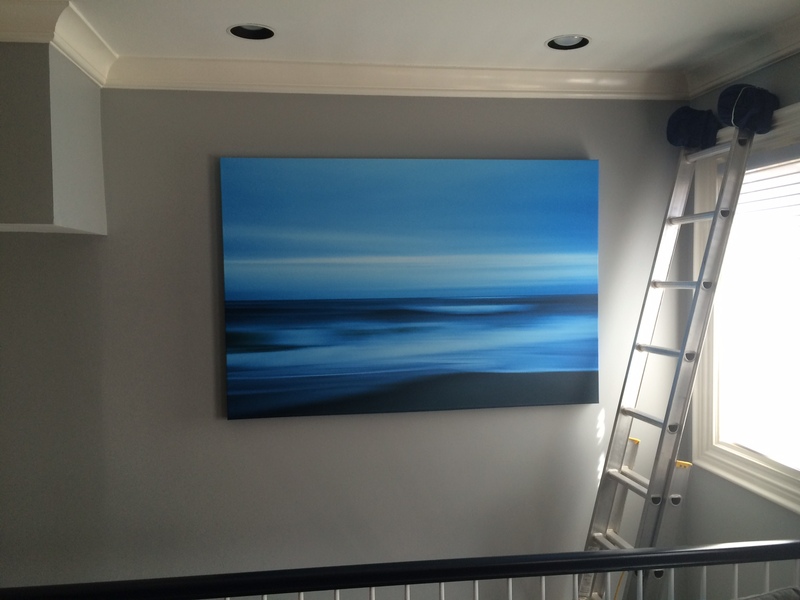 Upon deciding to offer our clients a premium Art Hanging Service, we opted to invest in all of the necessary tools, training, and insurance to be able to offer a level of service that we feel that nobody else in Boston can offer when it comes to hanging artwork. How much does professional art installation in Boston cost? Here at Shades IN Place we believe in open honest pricing, so we have created this price list to help you estimate the cost of your next art hanging project. 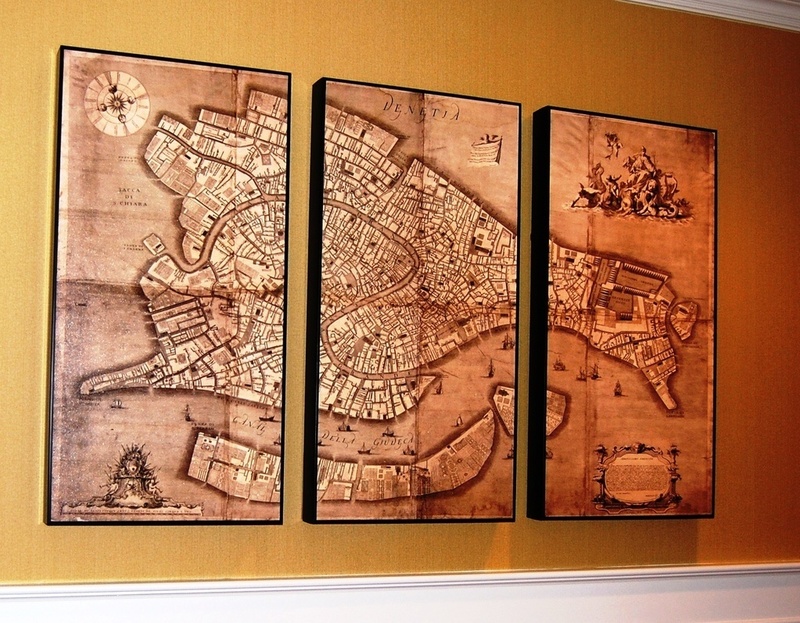 When it comes to Artwork Installation in Boston, nobody else has got you covered like Shades IN Place! 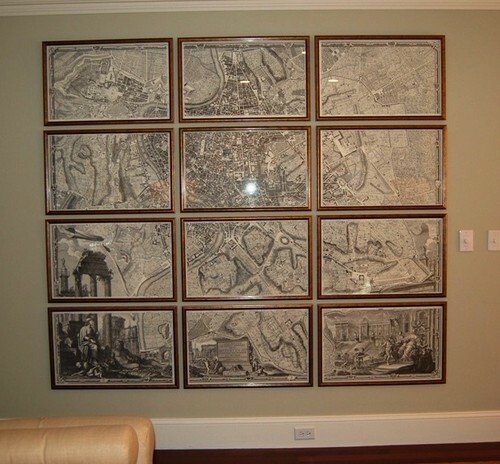 In the grid below, you will find our latest pricing for our art hanging services in the Boston area. 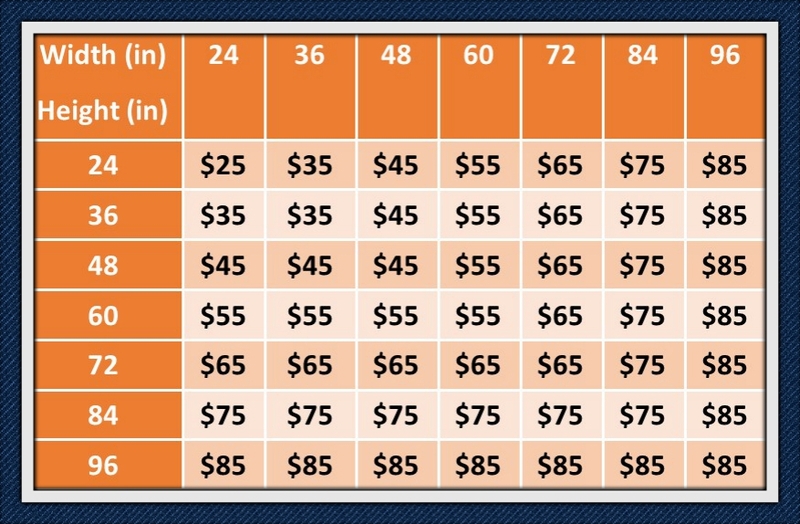 Use the table to find the corresponding price based on width and height of each piece. For heavy pieces and mirrors, a ‘z’ bar may be required. If so, please add $15 ea. Why should you hire a professional to hang your art? Putting holes on a freshly painted wall is a daunting task. Now, add the uncertainty of using the improper hardware to hold the weight of all of your wall decor, getting the placement of the artwork just right, and add the challenge of making everything level… Starts to seem a little overwhelming, doesn’t it? Don’t despair! We are here to come to your rescue! At Shades In Place, we are well known throughout Boston for our precision, attention to detail, care to our client’s home, and our friendly customer service. 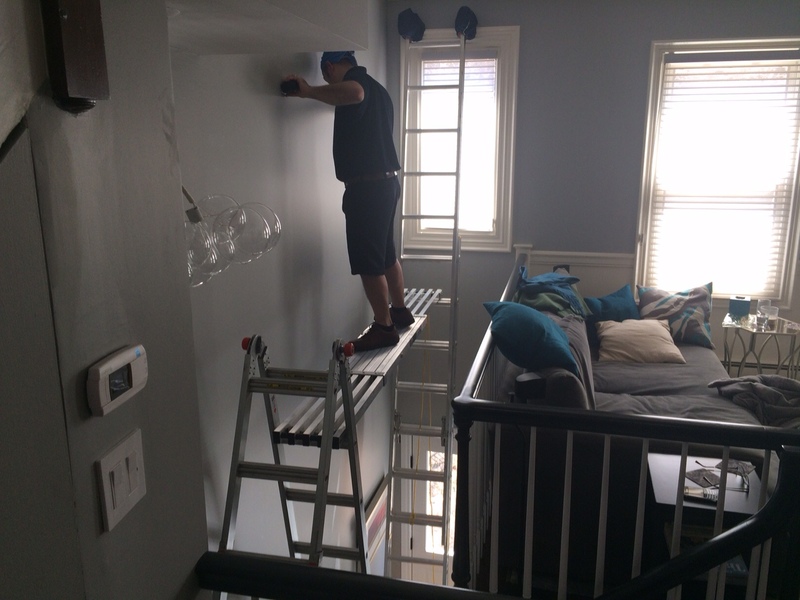 So next time you are thinking about hanging some artwork as a weekend project, why not sit back and leave it to the professionals here at Shades In Place! Because we offer art and picture hanging as a professional service and not as a “side job”, we only use commercial grade hardware to ensure that all of the chosen hardware holds more than enough weight capacity for each project. Are your walls too tall? Do you want a picture hung over the stairwell or fireplace? Perhaps a collage of the best family memories to span an entire wall? Great! Shades In Place has multi-positioning ladders and platforms to reach even the most challenging spots. Expensive pieces? No problem, we are fully insured for that too! Lets talk about that “Weekend Project” that you’ve been putting off! We see it every day! We go into new homes, and every house has that one room where there are at least a dozen pieces of art or picture frames leaning up against a wall. These are the pieces that you’ll hang “when you get around to it.” Ah yes, the weekend project that you are putting off because you know it means dragging out the ladder, hitting your thumb with the hammer AGAIN, moving the picture 3/4 of an inch to the right, and we won’t even mention the extra time you forgot to allow for repairing unwanted holes, dents and scratches on the walls too! In our experience of more than ten years dealing with these jobs, we can offer a better suggestion for you: hire the Professional Art Installers at Shades In Place for a few hours to hang your artwork, mirrors, family pictures and wall decorations and enjoy the rest of your weekend appreciating your newly decorated home with family and friends. Trust me, your thumbs will thank you too! Let Your Walls Tell A Story! Our clients travel all over the world and bring unique memories from those trips in the forms of antique doors, tapestry or even nautical memorabilia. Let us help you create your very own “storyboard” too. There is nothing more unique in a home than a well placed piece of artwork, especially when it holds personal meaning to you. We would love the opportunity to play a role in the telling of your story in your home. Get in touch with us today to talk about your next art hanging project. We would love the opportunity to show you what makes us the best art work installers in Boston! Whether you need to hang paintings, mirrors, family photos, picture frames, any other type of artwork; Shades In Place is your one stop source for Professional Hanging Services!